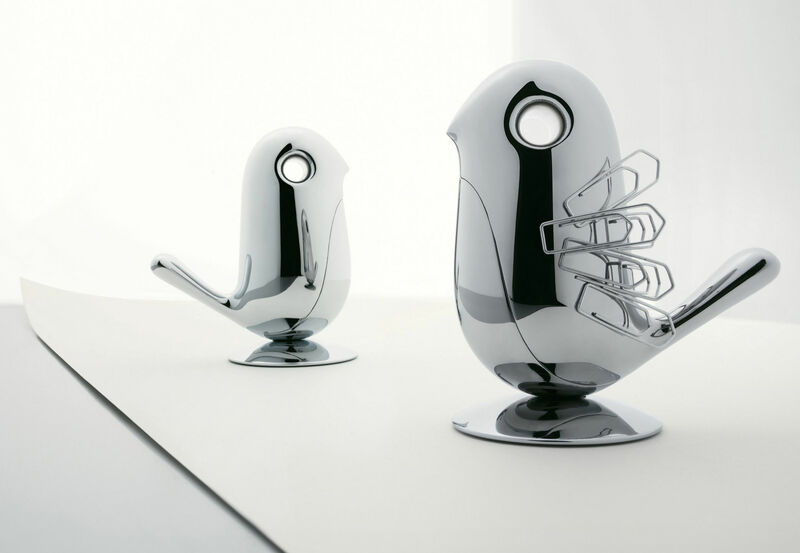 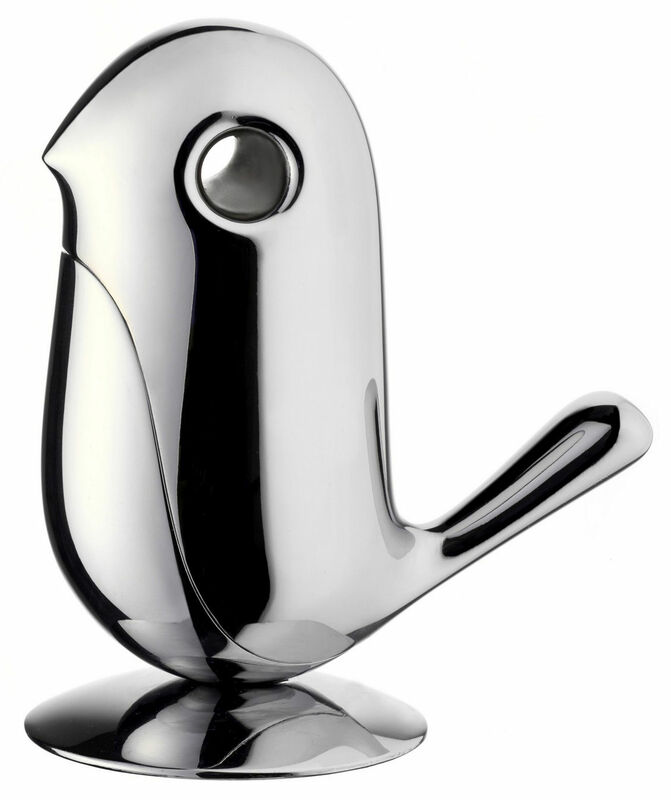 "A first Rodrigo Torres work for Alessi, ""Chip"" is a chrome-plated zamak paper clip holder. 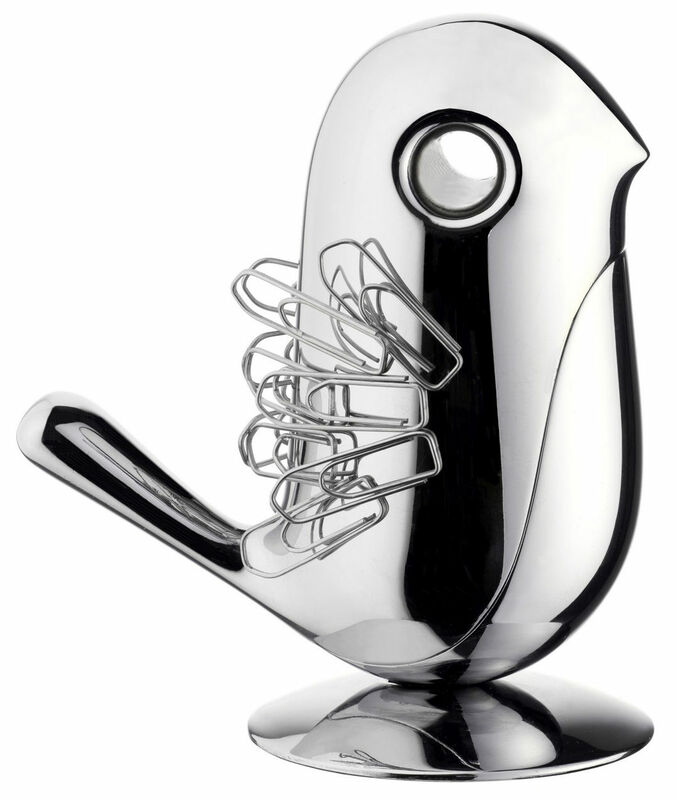 The internal magnets grasp the clips and in doing so endow them with a plumed look. 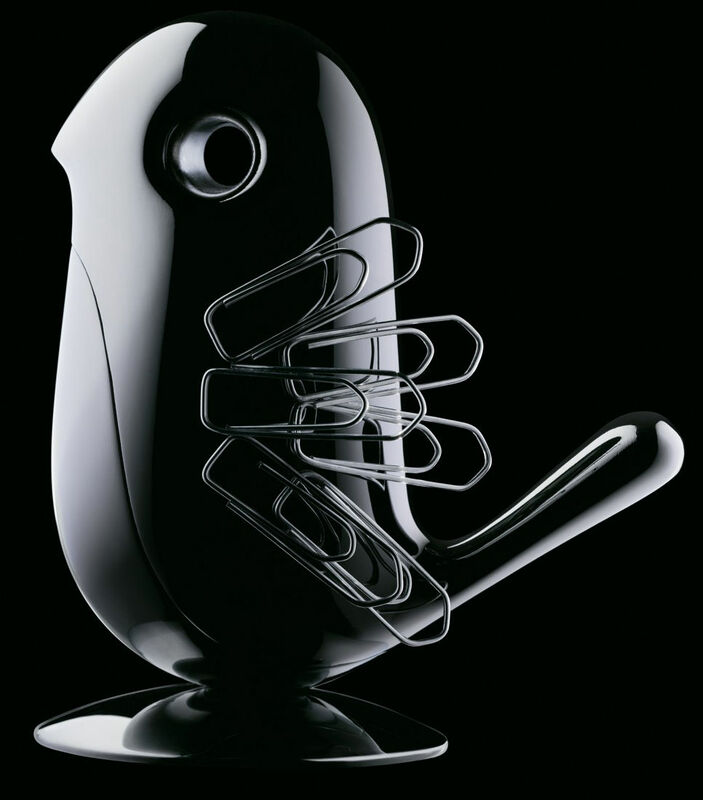 Despite its elegance, ""Chip"" is exceptionally solid and can also be used as a desktop paperweight."